Hot-tempered but generous, strategising and ambitious, George Frideric Handel is one of the last representatives of the lavish and prolific Baroque period. Was Handel as fanciful, erratic, and capricious as many believe? Quite the contrary, George Frideric Handel was a particularly clever and strategising composer, perfectly capable of making a name for himself throughout the English kingdom. Superficial, like the great Baroque divas of his time? Above all else, Handel was an extremely dedicated composer, working hard with extraordinary concentration, resulting in numerous masterpieces, including operas, oratorios, and instrumental music. Here are 10 (small) things you (perhaps) did not know about Handel, composer of The Messiah, Rinaldo, and the famous Sarabande. George Frideric Handel was born on 23 February 1685 in Halle, Germany, the same year as Jean-Sébastien Bach. Though the latter was born to a long line of musicians (the composer profession was generally passed down from father to son), Handel was the son of a barber surgeon. In the town of Halle, Handel's father was well known and held an excellent reputation, receiving frequent visitors at the family home. These varied and worldly visits undoubtedly led to Handel discovering music, eventually managing to convince his parents to pay for clavichord lessons (the forerunner of the piano). If the life of Handel were ever to be portrayed on the silver screen, it would have to be a trilogy. The first episode would look at his childhood and his musical training in Germany. Until the 1710s, Handel honed his craft as a composer in Halle, Hamburg and Hanover. The second episode, would be set in Italy, in Rome or Naples, where Handel discovered and gradually mastered the Baroque opera genre. He exported the operatic genre to England, with his works Rinaldo (1711), Tamerlano, Giulio Cesare (1724), gradually becoming one of, if not the most important composer in London society. Finally, the third episode would be one of appeasement and consecration. Now an English citizen, comfortably residing in a house on Brook Street, Handel eventually moved away from the world of lyrical theatre to a new musical specialty: the oratorio. An undoubtedly prolific composer (his famous Messiah, for example, was written and performed in just under three weeks), Handel is less known for his talents as a performer. And yet, Handel was one of the most talented harpsichordist and organists of his generation. While staying in Rome in 1706-07, Handel took part in various friendly musical competitions with the composer Domenico Scarlatti. At the great delight of the Italian lords and aristocrats, Scarlatti emerged victorious at the harpsichord, but it was Handel that walked away from the organ victorious. Although Handel had won over the London public with his Italian operas, he turned to the sober and more spiritual genre of the oratorio in the 1730s. Why? Operas were a costly venture, whereas the oratorio was performed without stage direction and design, or even costumes. With the oratorio, Handel was (finally!) able to compose in the English language. He who had been living in England for over twenty years knew full well the how much a work made in London could play in his favour, and garner great success from his English public. Thus was born the oratorios Solomon, Joshua, Judas Maccabaeus and even the famous Messiah. 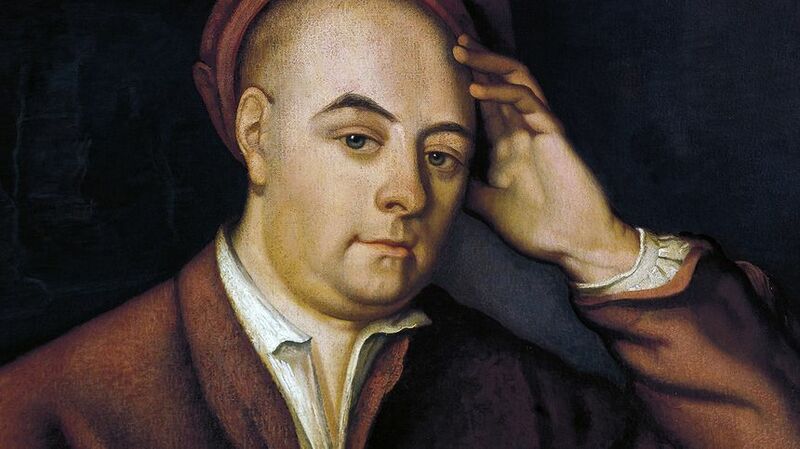 As soon as he arrived in London in 1711, a German composer with an Italian musical influence, Handel understood that he would have to double his efforts in order to win over his English public. Furthermore, the early 18th-century English public still held strongly to the memory of their last great composer, Henry Purcell. In 1713, Handel composed a Te Deum for the English crown, a work in which he mixed new musical elements with references to the music of Purcell. The Te Deum was performed in Saint-Paul's Cathedral, and impressed immensely Queen Anne. Handel was now the "official" composer for the English kingdom. Though George Frideric Handel was known for his good sense of humour and his mischievous, Handel the composer was notoriously demanding and very strict. No matter the social standing of his performers, aristocrats or not, it was best not to disturb the maestro during rehearsals, and above all else follow his tempo precisely. It is said that when a singer refused to perform follow his score precisely, he threatened to throw her out the window (as a joke, of course). When the choir began whispering excitedly, thus distracting the maestro, Handel shouted "Chorus !" with great authority and exasperation. Handel enjoyed drinking and eating, as can be seen in many of the portraits painted by his contemporaries, never forgetting to highlight his (somewhat) plump. Incidentally, Handel was the composer with the most portraits of his time, proving yet again his immense popularity. Countless portraits and sculptures during his lifetime, even by the French artist Louis-François Roubiliac, there nonetheless remain various mysteries regarding Handel's personal life. None of his romantic relationships (if any) are known to his biographers, and only a handful of manuscript letters have been found... Historians and musicologists can only agree therefore on one thing: his love of good food and great wine. In his will, Handel declared that he wished to give a large portion of his fortune to charitable organisations: institutions helping the families of musicians, others helping prisoners and the sick... This was not simply due to the fact that composer did not have any children: ever since his arrival in London, Handel supported a great number of popular and social charities and initiatives. He was particularly dedicated to helping orphans. 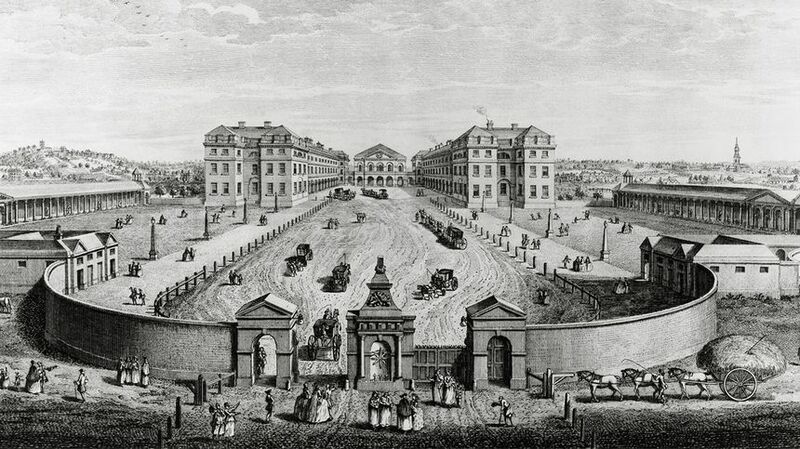 Ever since its founding in 1739, Handel was a firm supporter of the London Foundling Hospital, an institution dedicated to caring for abandoned children: each year he would conduct a a benefit concert of one of his oratorios for the orphanage. Foundling Hospital de Londres, fondé en 1739 par Thomas Coram. Dessin de Louis-Philippe Boitard. © Getty / . In 1737, Handel collapsed mid-concert: he was exhausted, stressed, and in debt. Upon awakening moments later, the composer discovered he was paralysed on the right side of his body. 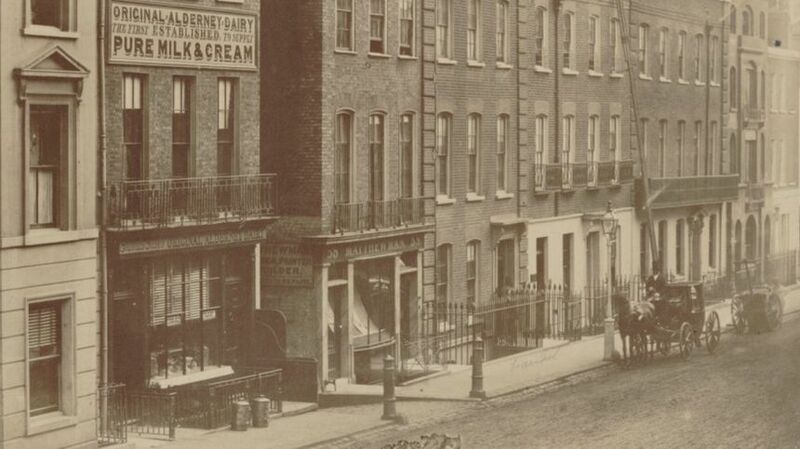 Distraught, he locked himself away in his house in Brook Street, far from the public eye and gossip. Only when the composer travelled back to his native Germany, to Aachen, was he finally cured of his strange illness. At the age of 52, Handel returned to London, healed but weakened. He suffered other attacks of paralysis later in life, from which he repeatedly recovered, before finally succumbing to the fatigue in 1759. Handel passed away on 14 April 1759, in London. Though the composer had always refused to bow down and serve a lord or grand patron, as was the custom for many of his fellow musicians and composers, he had nonetheless amassed a considerable fortune (a rare occurrence for an 18th-century artist). Despite his wealth, he wished for a sober burial in Westminster Abbey, but his funeral was made public, gathering almost 3000 admirers. Though he cared little about posterity (other than through his music, of course), Handel was nonetheless the subject of the very first biography in music history. Barely a year after his death, the reverend John Mainwaring took it upon himself to tell the story of the composer's life and his incredible destiny, eventually entitled Memoirs of the Life of the Late Georg Friedrich Handel.